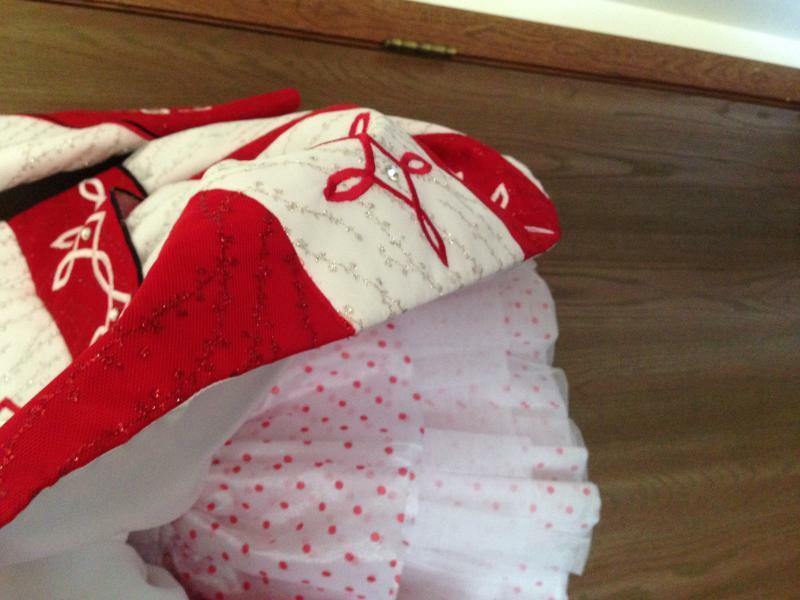 dance.net - $300 Red and White Dress Size 0/2 (10244133) - Read article: Ballet, Jazz, Modern, Hip Hop, Tap, Irish, Disco, Twirling, Cheer: Photos, Chat, Games, Jobs, Events! 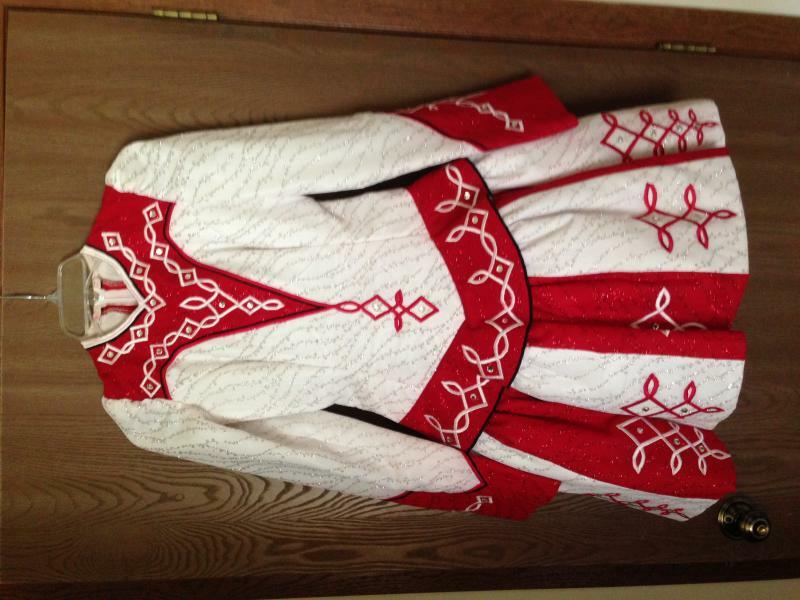 This dress has never been worn at a feis! This beautiful red and white solo dress is ideal for a teen/adult dancer as it was designed to accommodate a larger bust. It will fit sizes 00-2 and is currently hemmed for a dancer of 5' 8" (although it would be easy to re-shorten it). The dress features an adorable polka dot underskirt and includes bloomers and a crown. Dressmaker unknown.